Loomstate !Act Natural! Blog: "A Wardrobe Superhero"
Check it out! 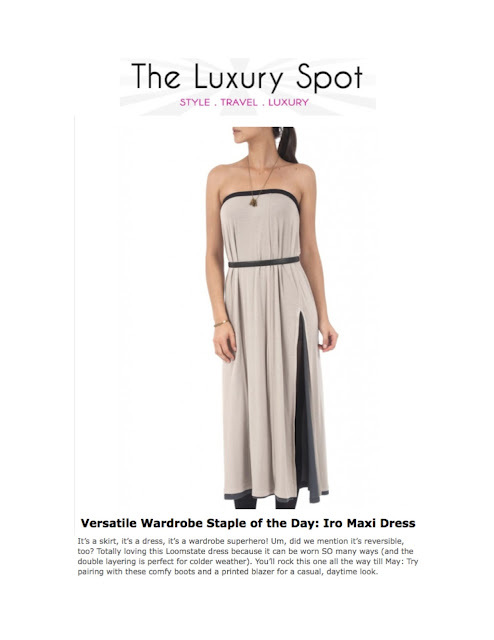 The Iro Maxi Dress in the Sand/Slate color combination was recently featured on The Luxury Spot, a fun website we frequent. This Loomstate item is part of the 321 collection, made from the sustainable fiber Tencel. 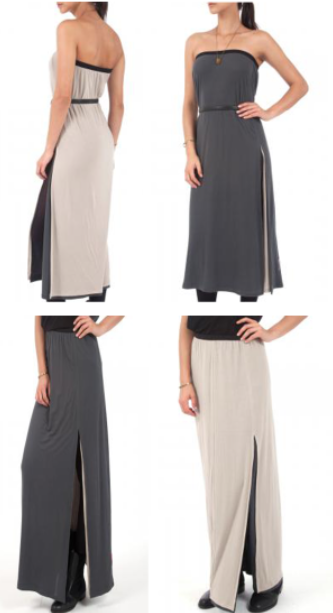 It can be gracefully rocked as a maxi dress or skirt, with the option of having sand or slate on the outside. Visit Loomstate.org to shop the 321 collection!